Jesus is on that throne forever. That's not going to change. Let's be careful that being on the throne doesn't give us an excuse to abdicate our Christian responsibility. Jesus was on the throne September 11, 2001 and September 12. Jesus was on the throne before the Berlin wall was built, and was on the throne when it was torn down. Jesus will be on the throne whether or not we care for the poor and those who need God's justice. Jesus will be on the throne regardless of human agency. What does it mean in the first place to affirm Jesus is on the throne? We have this day, Christ the King Sunday, to explore the idea that Jesus is Lord. 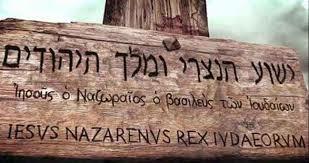 And above his head on the cross hung a sign that said, "Jesus of Nazareth, King of the Jews" (John 19:20). 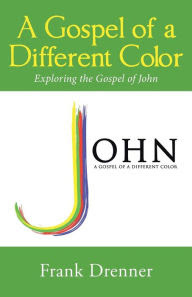 The writer of Colossians expressed the notion of the supremacy of Christ by quoting a specatular hymn, one that was probably widely circulated among the earliest Christians-- even before the first Christian scriptures were recorded. The other day at Perkins I heard the great biblical scholar NT Wright say that it is often the case that we best express ourselves through poetry or hymns before words. He reminded us of the famous quote of St Augustine: "Those who sing pray twice," and then said, ""Poetry first, then theology. Worship first, then thoughtful reflection." Too often in worship we are rushing to get through one thing to the next. It's certainly true of me. But for many of us, maybe most of us, worship is an hour a week, something we do in a long list of activities. I remember years ago in Prosper a woman who would sit at the back of the church and take notes during my sermons. It always made me feel so proud. Until one day I noticed a scrap of paper left behind in her pew: her grocery list! He is the image of the invisible God, the firstborn of all creation; for in him all things in heaven and on earth were created, things visible and invisible, whether thrones or dominions or rulers or powers—all things have been created through him and for him. He himself is before all things, and in him all things hold together. He is the head of the body, the church; he is the beginning, the firstborn from the dead, so that he might come to have first place in everything. For in him all the fullness of God was pleased to dwell, and through him God was pleased to reconcile to himself all things, whether on earth or in heaven, by making peace through the blood of his cross (Colossians 1:15-20). Just before the ancient hymn, the writer tells us that God has transferred us to Christ's kingdom-- we have moved from the power of darkness to the throne of grace. The movie began in a WWII cemetery, and now at the end we return to the scene. Ryan, now a grown man, is surrounded by his wife, his kids, and grandchildren. He kneels at the grave of Capt Miller and weeps. His wife consoles him, and he says, "Tell me I have been a good man." For the last sixty years, Ryan has carried the burden of the sacrifice these men made on his behalf. The words, "Earn This" are etched on his soul. Has his life been worthy of the sacrifice? From the Cross, his throne, Jesus prays, "Father, forgive them" (Luke 23:34) on behalf of those crucifying him and others who are deriding him. Even one of the criminals crucified with Jesus joins in the chorus. The other criminal, however, says, "Hey we deserve our fate; he does not. Jesus, remember me when you come into your kingdom." Jesus replies, "Today you will be with me in paradise" (23:43). He does not say to anyone, "Earn This." He could have. It would have been easy. But it would have left all of us with a burden similar to Ryan's from the movie. We would face the cross and say, "Tell me I have been a good person. Tell me it was worth the sacrifice." But Jesus would have us live free of guilt. We cannot earn God's love and forgiveness anyway. It is offered to us freely as a gift. We can accept it without guilt or shame.